Entre-Deux-Mers is a large region located between the Right Bank and Graves—or "between two seas." As my colleague James Molesworth was off in Bordeaux tasting the 2017 vintage in barrel, I was reminded of my own passion from the region: its dry white wines. I've been beating this drum for a long time now. Bordeaux's reds are so well regarded that even the region itself sometimes forgets about its whites. I've been to dinners with Bordelais who serve red Bordeaux with the entrée, but start off with Champagne or white Burgundy. Why not capitalize on their own delicious asset? White Bordeaux is most often a blend of Sauvignon Blanc and Sémillon and, let me just say, whoever came up with this marriage is plain genius. I love the high acidity and intensely aromatic flavors of citrus and herbs that Sauvignon Blanc has; a touch of Sémillon rounds out the edges, resulting in a gorgeous mouthfeel and warmer flavors of peach and nuts. At a recent event, I was invited to "play winemaker" by blending four different samples that make up the base of Château Latour-Martillac's white wine—two each of Sauvignon Blanc and Sémillon, grown on gravel and on clay-limestone soils. At first I thought the exercise was a little gimmicky, but it actually highlighted the subtle nuances of the blend. The sample of Sauvignon Blanc on gravel had piercingly sharp acidity and bright citrus flavors. The Sauvignon Blanc on clay-limestone was mellower, with slightly more tropical fruit and some smokiness. The Sémillon on gravel had great tension and was bursting with white peach, pear and grapefruit notes, whereas the Sémillon on clay-limestone was less aromatic, but had a creamy, round mouthfeel, with some leesy and nutty notes. Not all white Bordeaux follows this traditional blend (which may also include a small amount of Muscadelle). Some are made with 100 percent Sauvignon Blanc, for example, and I recently tasted a 100 percent Sauvignon Gris for the first time, from Château de Bellevue, which was delicious and distinctive. A sea of very affordable white Bordeaux punches way above its weight-class, but high-end versions also exist. 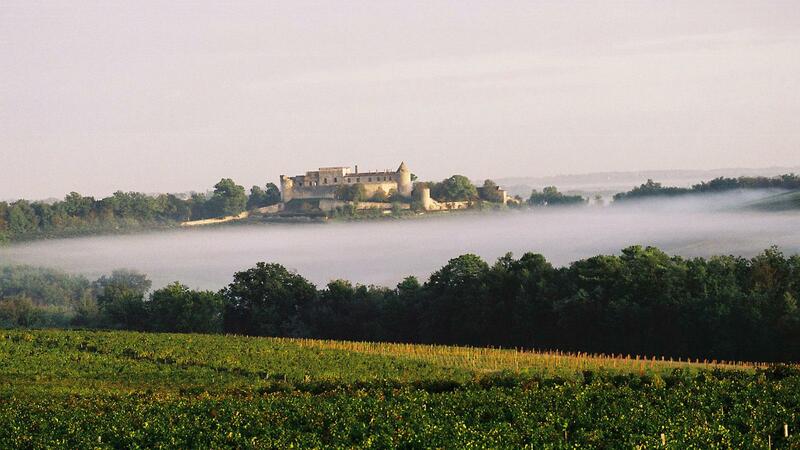 The whites can come from anywhere in the region under the Bordeaux AOC designation, but look for some more specific appellations, like Entre-Deux-Mers, a vast region that makes crisp, fruity and affordable sippers, and Pessac-Léognan, which makes elegant, structured and long-lived versions—the cream of the white-wine crop. Château Smith-Haut-Lafitte's 2013 Pessac-Léognan white was among Wine Spectator's Top 10 Wines of 2016. Some top properties in the Médoc now make their own whites, like châteaus Margaux and Cos-d'Estournel, but some of my very favorite wines are actually made by dessert-wine producers; châteaus Guiraud in Sauternes and Coutet in Barsac both also bottle excellent dry whites. And I'll let you in on a secret. Bordeaux experiences a lot of vintage variation, and the years that are mediocre for red wines often tend to have great conditions for making excellent white wines. This was the case for the 2013 vintage, which resulted in nondescript reds but some of the best white Bordeaux I've tasted, as well as the most recent vintage, where the 2017 whites more than keep up with the reds from top châteaus. I know what I'll be drinking when the warmer season finally arrives. What about you? Thanks for the thoughts! I agree, more New World producers should get on board with white Bordeaux blends. Some of my favorites (if you don't know them already) include Cape Point Vineyard's Isliedh cuvée from South Africa, and Flor by Jonata in Ballard Canyon, California. We have always been a fan of white Bordeaux, especially of Château Olivier. Last November we were tasting wines at a number of wineries, all red. When we visited cos d’Estournel the wine maker poured a red and their white. I could not get my nose out of the glass of white! As magnificent as their res wines are I was captivated by the white. One of the most memorable wines of the trip!